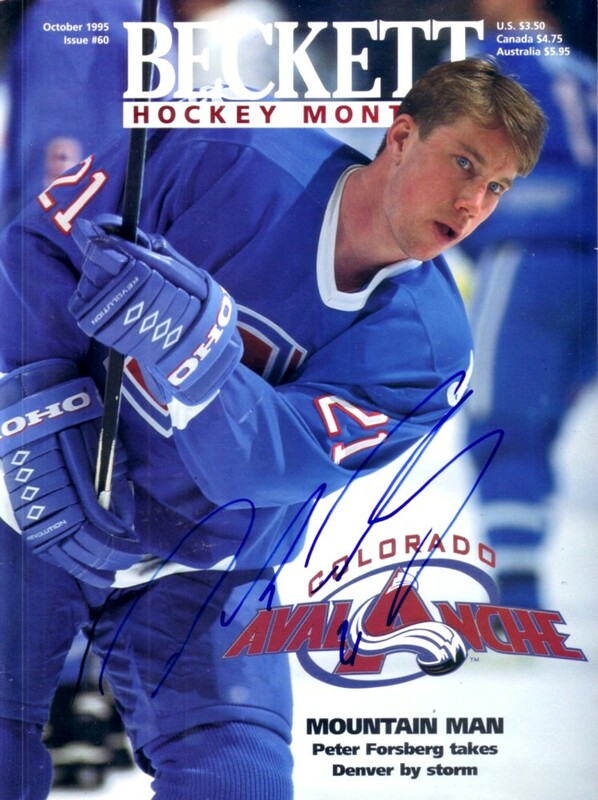 Complete 1995 Beckett Hockey magazine autographed on the cover in blue marker by former Colorado Avalanche superstar Peter Forsberg. Obtained in person. With certificate of authenticity from AutographsForSale.com. ONLY ONE AVAILABLE FOR SALE.